Our revolutionary approach to teaching young people to drive is unmatched. Our years of experience has taught us that you the student are only as good as the teacher. Which is why we continually train and upskill our instructors to not only give you the best driving lesson experience there is to be had in Athy but also to give you a calm relaxed environment to learn in. That means no stress and no yelling. 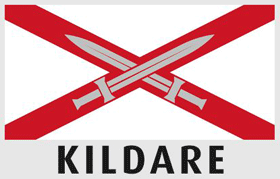 This is just one initiative that sets us apart from the competition in Athy. We have seen pupils learn 3-4 times faster with our home study training. Covering vital driving skills like driving at night, road positioning and traffic progression this training is like having your own driving instructor with you 24/7. The art of driving safely and the art of passing the test should not be confused as the same. Long before sitting the driving test you should have the necessary skills and understanding to drive without putting your life or the lives of others in danger. Our Athy pretest driving lessons are designed to show you how to beat the test by understanding the situations you will be placed under. 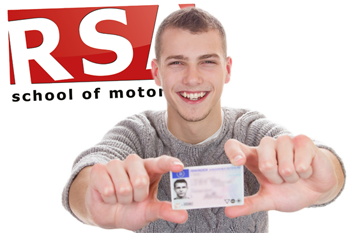 With RSA School of Motoring your Athy driver training doesn't just start and finish in the car. To help you develop fast and help you remember all the driving techniques our instructors teach, we have engineered our own idependent home study email course delivered straight to your inbox to guide you through your EDT to the test. Why? Because not all driving schools are made equal. If you have a driving test scheduled and need a modern, easy to drive car to perform it in then we can assist. It is our belief that by turning up for your test in a safe, dual controlled vehicle puts the tester at ease and shows a certain level of commitment from you to your own success. So why wouldn't you book one of our pretest car hire packages and get ready for your test like a pro. When we were in school we all had our favorite teachers, the ones that engaged us and made learning fun. And then we had the opposite, those teachers that had no place in the classroom. Not all teachers are made equal and that is certainly no less a fact with approved driving instructors. It is easy to Google 'Driving Lessons Athy' and find driving instructors near you but which can you trust to best teach you. You need a driving instructor with a reputation built on experience and student success. A place where students are routinely passing their driving test first time. 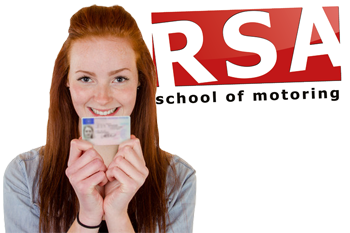 RSA School of Motoring have the precise reputation for pupil success we have been talking about and we have the verified testimonials to prove it. So if you need driving lessons you would be getting a head start choosing us. Keep reading to understand why. Do you want to do your Athy driving lessons with a lady instructor? No problem. You can take your essential driver training or pretest lessons with one of our female driving instructors. Just give us a call to book in. Do you offer Driving Lesson Gift Vouchers in Kildare? If you want to learn to driving an automatic in Athy then you're not alone and we can help. Book your automatic driving lessons with us today.